Address: 232 W. Yellowstone Ave. 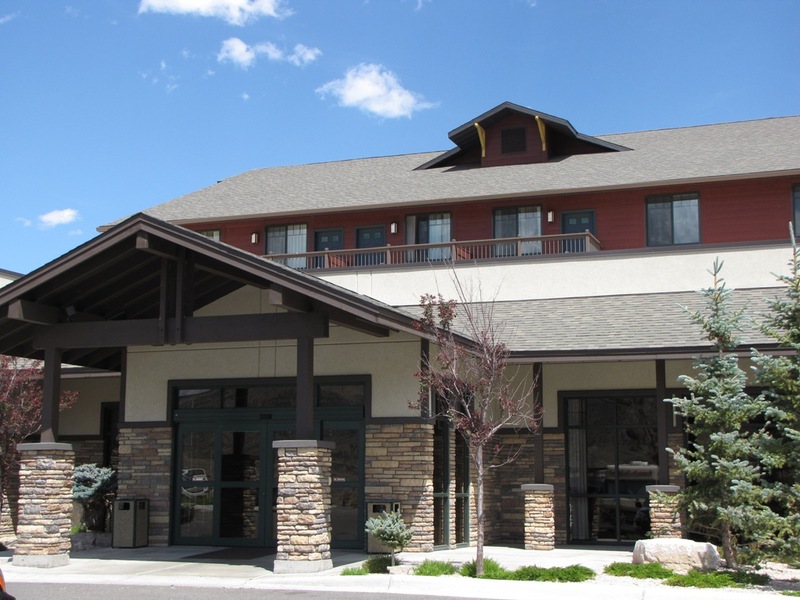 The Cody Hotel provides luxury lodging and is conveniently located one-quarter mile from the Cody rodeo arena and Old Trail Town. The Cody is a green-friendly hotel, well known for their comfortable green-friendly beds, down-feather pillows and comforters, flat screen TV’s, oversized towels, upgraded amenities and their green-friendly environment. They have a variety of accommodation options to make you feel at home. The Cody has 75 suites, some of which have balconies or patios. Enjoy the indoor swimming pool with lap lane, the jacuzzi or sauna and fitness center. A complimentary continental breakfast is provided and evening refreshments are available in the lobby. Open year-round. No Pets.